A major victory against the United States Federal Reserve comes out of Arizona this week as Arizona Governor Doug Ducey signed House Bill 2014 into law — officially allowing Arizona residents to use precious metals as currency — instead of fiat federal reserve notes. The bill went after the federal government’s attack on precious metals by eliminating the capital gains taxes on precious metals. Arizona residents no longer have to tell the federal government how much they ‘gained’ or ‘lost’. To put this in layman’s terms, if you buy an ounce of gold today for $1,200 and tomorrow it takes $1,300 to buy that same ounce — you did not make money — because that value is based on federal reserve notes. If you sell that coin for $100 more, it is not a profit but, rather, a loss. “The U.S. Mint is charged with protecting the value of money, but the Federal Reserve creates nothing but debt. Yet Congress authorized a tax when making the exchange of precious metals for dollars. It’s illegal and they know it, this bill is an effort by one state to protect the people from such confiscation,” said Finchem. 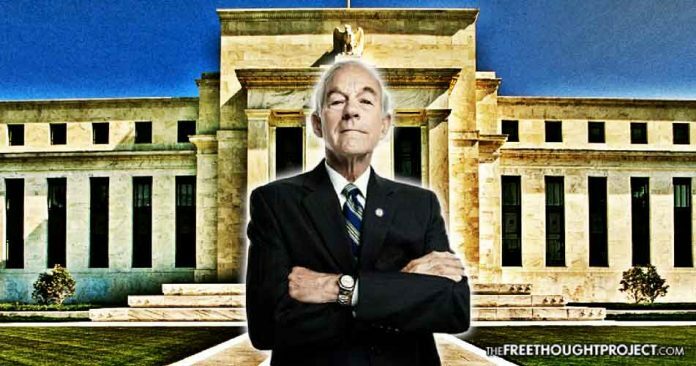 Naturally, this news is music to the ears of former Congressman and Campaign for Liberty Chairman Ron Paul, who testified before the Arizona Senate Finance Committee in support of the bill in March. “By allowing the people of Arizona to use an alternative to Federal Reserve-created fiat currency, HB 2014 will help the people of Arizona survive the next Federal Reserve-created recessions. Passage of this bill will also help make Arizona more attractive to the growing number of people seeking alternatives to fiat money in order to protect themselves, their families, and their business from the effects of Federal Reserve policy. Thus, this bill will help attract new investments and jobs to Arizona,” said Paul. The notion of states protecting citizens from the Federal Reserve’s monopoly on currency and tax through inflation was all but non-existent until recently. Now, there are at least 20 states considering legislation to shield themselves from this illegal practice. The Idaho House voted by a margin of 56-13 on March 14 to pass House Bill 206, following the Arizona House’s approval. While this news is certainly heartening, the war is far from over. This is but one battle in a war on money that the state has been waging throughout history. However, as more people wake up to the thieving tyranny that is the Federal Reserve’s monetary policy, the central banker’s days become numbered. We will be here right along side C4L to help return the power of money to the people. Please share this article with your friends and family so that they may see the power of information.